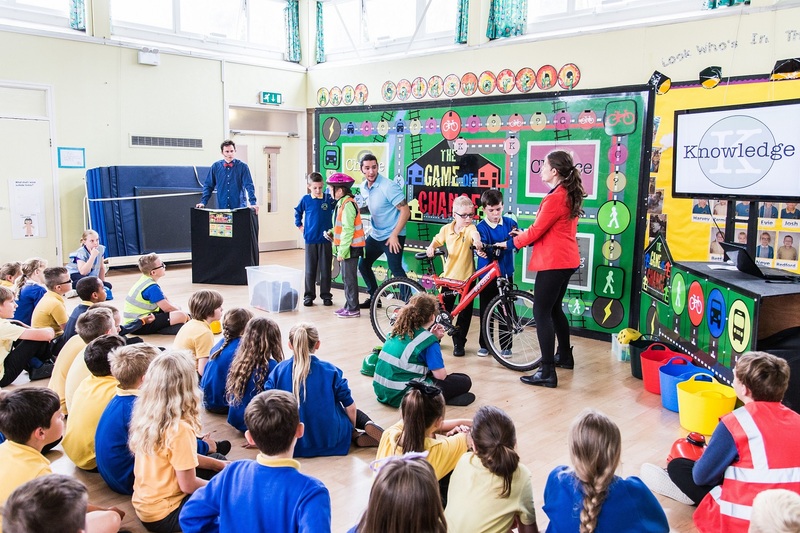 School children from South Gloucestershire are taking part in the ‘Game of Chance’, a fun, game show style quiz about road safety and sustainable travel. Primary school pupils aged between 7 and 11 have been playing the quiz, which is running in a number of primary schools throughout South Gloucestershire this week. The Game of Chance is an exciting, fun and highly interactive game show, which features a large gameboard and dice. It’s a fun and exciting quiz that aims to engage children in thinking about sustainable travel, health and the environment, and road safety. The school children are put in to teams and are challenged to answer questions and take part in scenarios played out by actors to earn health points to ultimately get home safely. Using four different modes of transport, the contestants encounter a multitude of scenarios, choices and random chance events on their travels. Their knowledge is then tested during a final buzzer round when the contestants have to demonstrate what they’ve learnt and how many health points they have earned. 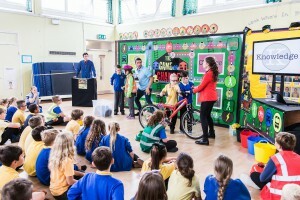 The Game of Chance is part of a programme of activities organised by South Gloucestershire Council road safety team and funded by the Local Sustainable Transport Fund (LSTF) to encourage active travel. The presentation is delivered by programme leaders from the Tiny Giants theatre company.